Medical gas training and certification programs are 100% web based; available 24×7 and they eliminate the need for travel and time away from work. MTS is a training company providing medical gas certifications utilizing web-based audio-visual instruction and online examinations to meet the requirements of the ASSE 6000 Professional Qualifications Standard. 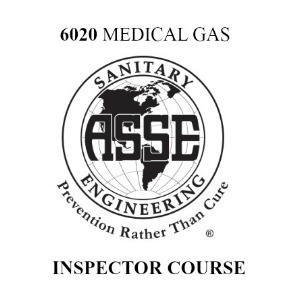 These programs were developed by an ASSE 6050 Certified Instructor. They are self-paced and web based, and the training modules and program content are all provided online. The programs are comprised of a verification of work experience prerequisites, online training course, and a final examination. Payment- Once payment is received, an application will be emailed to the candidate. Your application will then be forwarded to our 6050 Instructor for approval. Once eligibility has been confirmed and acceptance into the program has been granted, A Candidate Handbook and all pertaining documents will be forwarded to the applicant to begin to coursework. Take Your Course and Exam – Our ASSE 6000 courses are broken into multiple training modules and practice exams. Once you have completed the course you will be given access to the final examination. The final is 100 questions and you will have two (2) hours to complete. Final Exams for the NITC Certification will be administered by NITC at http://www.nationalitc.com/. Receive Your Certificate – Upon passing the final exam you will receive your certificate and wallet card. You will then be able to use the ASSE credential in professional communications, such as letterhead, stationary, and business card, in directory listings, and in signatures.